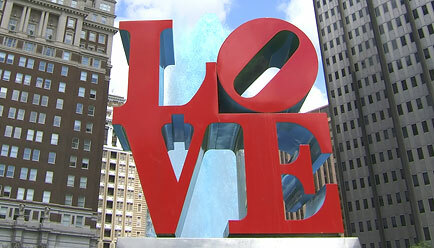 Philly was the city of LOVE for us! When my son transitioned almost four years ago, I had no clue where to go for information, answers to my questions, or support. But I knew I needed help. It was 2010 and I discovered and joined an online transgender support group, TYFA, and I quickly realized everyone was talking about a big conference that was coming up in Philadelphia. They were all so excited to be going. I jumped in and asked what all the excitement was about. Various members explained that there are a few major Gender Conferences held throughout the United States that focused on transgender issues. The conferences typically bridged over a weekend and offer workshops about transgender issues. The best part was you would meet other parents and transgender children. I was sold. I immediately called my husband and said, “Sign us up today, we are going to Philly.” Two months later we were on a plane to Philadelphia. This was only three months after my son transitioned in June of 2010. The conference was life changing. What happened at that conference was something that I will never forget. We made new friends from all over the US and we still keep in touch. My trans son made new friends who were just like him. He finally met other boys who shared his fears, angers and desires. We received so much love and support. 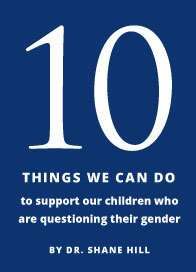 Ron and I left truly understanding what transgender is and what our children go through. We realized that we still had the same child on the inside just a different gender. We were able to fully understand that this is a medical condition and we needed to support our child. And maybe most importantly, I realized that we are not alone. I would highly recommend that any family member of a transgender child or adult take the time to attend a conference (and in most cases, bring your child with you!). They are in different areas of the US so hopefully you can find one kind near you. I truly believe that you will walk away from it changed for the better; feeling loved and better prepared to support the people you love. June 13-15, 2013 - then like them for details about next year. July 12-14, 2013, like them for more information about upcoming conferences. August 1-4, 2013 and like them for details about next year. Like them to get details for the next event, the 2013 conference happened in February. Have others? Please let me know and I will add them to this list. Scholarships are available for those interested. It should be an amazing weekend.